Every year around holiday time, Jay the Zapper Guy from the free How to Build a Hulda Clark Zapper videos builds one of a kind Hulda Clark Zappers for those who want fun and unique zappers to suit their taste. This Hulda Clark Zapper is built into a clear red plastic Muffin container, with a latch that can be popped open for battery changes. Each handmade zapper unit comes complete with copper handles, red/black banana plug to alligator clip cables, 9 volt battery and Zapper Basics set up manual. This Hulda Clark Zapper is a one of a kind piece of art, no two exactly alike. Hulda Clark dedicated her books as her gift to humanity. Now you can give the gift of a Hulda Clark Zapper to your loved ones, and that includes you! 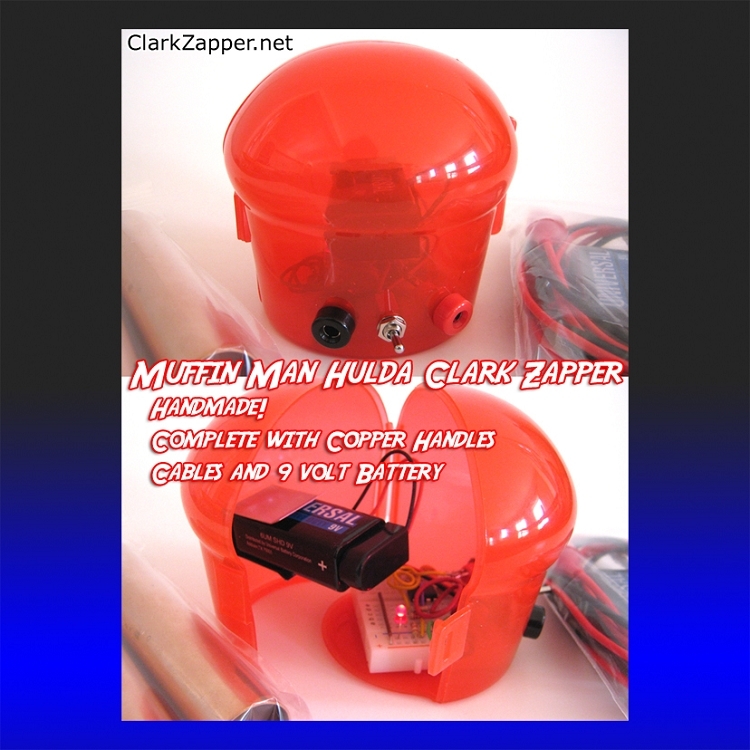 Make your own handmade Hulda Clark zapper by following the FREE video instructions at ClarkZapper.net or purchase this one-of-a-kind Muffin Zapper for the sweetest person in your life.